The entire community is invited to tour the newly renovated Lone Star College-Kingwood at the annual Open House on April 13 from 10 a.m.-2 p.m.
"We offer noncredit courses for students wishing to obtain a new skill but not college credit. We also offer associate and certificate-level programs that offer college credit and a pathway toward a four-year institution," said Nicole Keenan, director of admissions and outreach. This year's Open House will not only highlight the college's stellar academic programs and a full array of student services but will showcase the restored buildings damaged due to Hurricane Harvey. Attendees will be able to visit each facility and learn more about the programs offered in each of them. Various departments will provide interactive demonstrations. "We are excited to open and share our campus with the community. 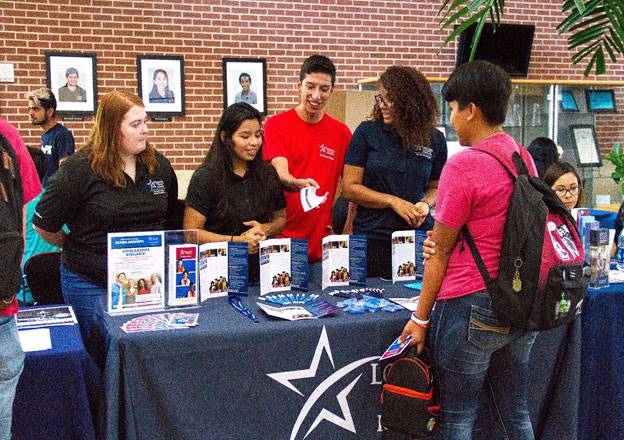 It has been a long and arduous journey, but we are fully open and ready to assist you with all of your educational needs," said Dr. Katherine Persson, LSC-Kingwood president. So glad they are finally opening. It has been rough for all. Bumming so you can put on your calendar.